David Cobley is now well established as a superb portrait artist. His serene and reflective paintings of the female nudes demonstrate outstanding mastery of paint, tone and composition. But David is equally talented as a successful artist of Still Life and Landscape paintings. ''Calling the Shots'' illustrates David Cobley''s accomplished use of light and shade to create a sense of texture and atmosphere in his work. 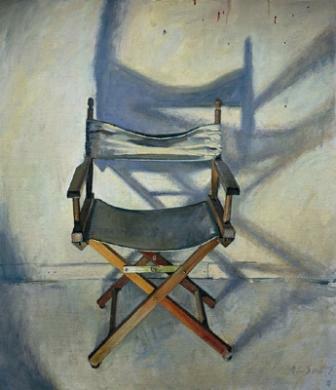 Cobley describes this process as, ''Using the effects of light, painting can create the illusion of solid form in space; while at the same time blur distinctions between the two''¦ In the half-light between highlight and shadow, painting offers the tantalising possibility of drama, intrigue and magic." The muted palette and the carefully balanced composition used in ''Calling the Shots'' add to this beautiful study in light, shade and form.